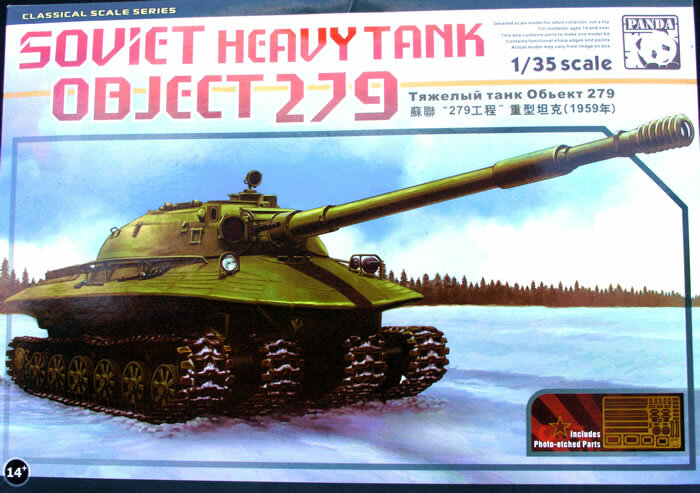 Stock Number and Description Panda 1:35 Soviet Heavy Tank Object 278. Kit No. PH35005. 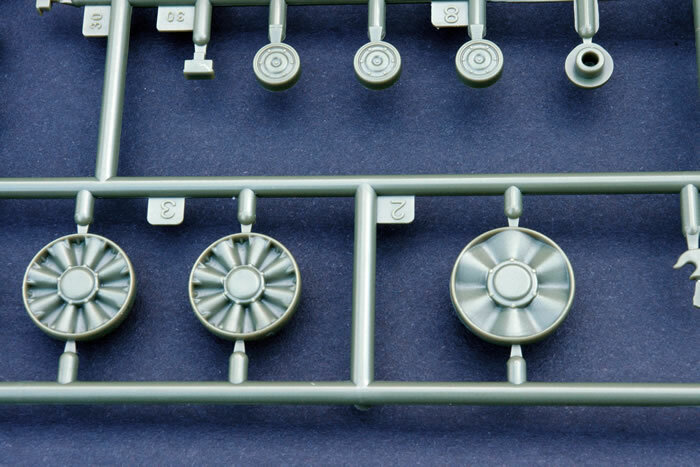 Advantages: Generally good quality moulding; individual track links; well-rendered wheels. 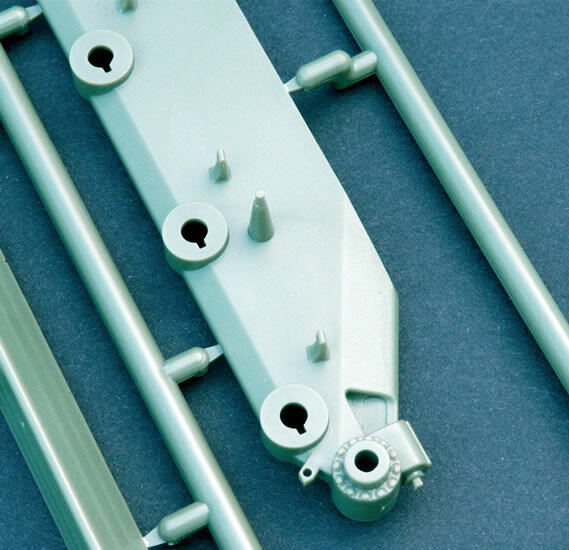 Disadvantages: Flash and prominent seam lines here and there; missing and soft details; cast finish too uniform; ejector pin marks in prominent position on each track link. 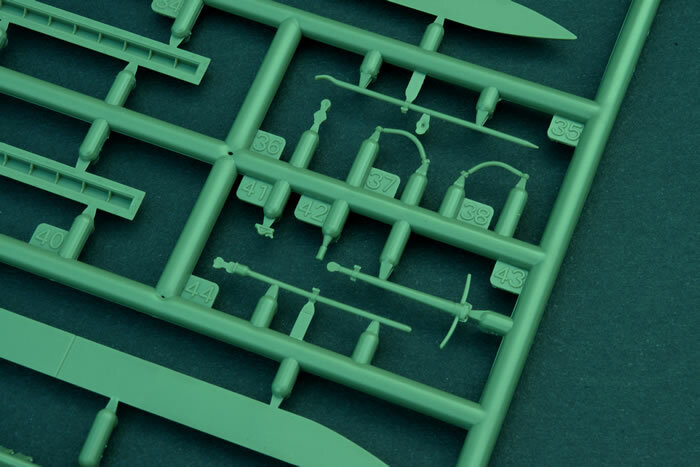 Recommendation: Quite a nice model but detail that is very obvious on the real thing is missing from the kit. The Object 279 tank must get the nod as one of the most bizarre looking tanks ever created. Born out of a requirement for a heavy tank with good firepower that could traverse the extremes of weather and ground conditions found in Russia as well as survive a nuclear blast, design work commenced in 1957 and the pre-production vehicle was completed in 1959. 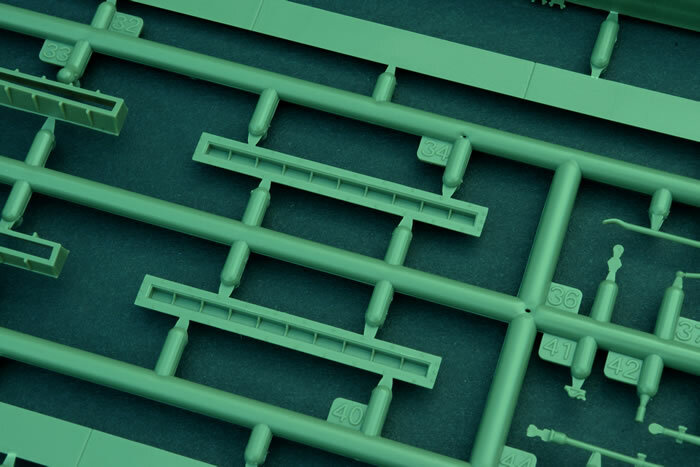 Panda’s 1:35 Object 279 comprises 244 parts moulded in olive coloured plastic, 348 light brown plastic individual track links and 32 etched parts. Quality of the moulding is quite good although there is a small amount of flash here are there (especially on the tracks) and some parts do have some prominent seam lines to clean up. Detail is a bit soft in places and has a 1970's / 1980's feel. The instructions are well done and construction is called out in 15 steps. 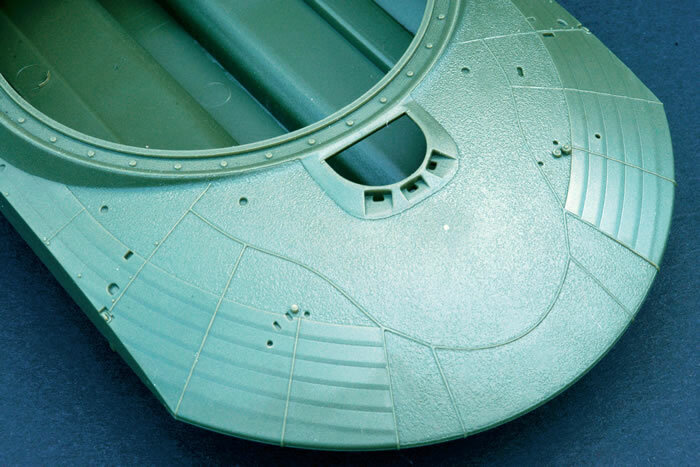 The hull comes with texturing which is nice, but it is uniform and even in its appearance. 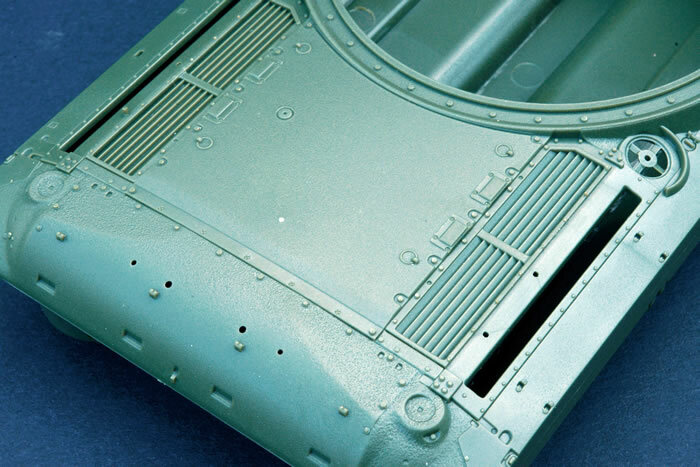 The top hull has a couple of plastic pips right in the middle of the textured areas that will require sanding off which then means you'll need to redo the texture to keep it all looking the same. The engine deck is okay, but there are lines of large Phillips head screws missing from the top and bottom edges of the engine access hatch. Tools and other details you have to add are all reasonably well done but some suffer from soft detail like the rear convoy lights for example. 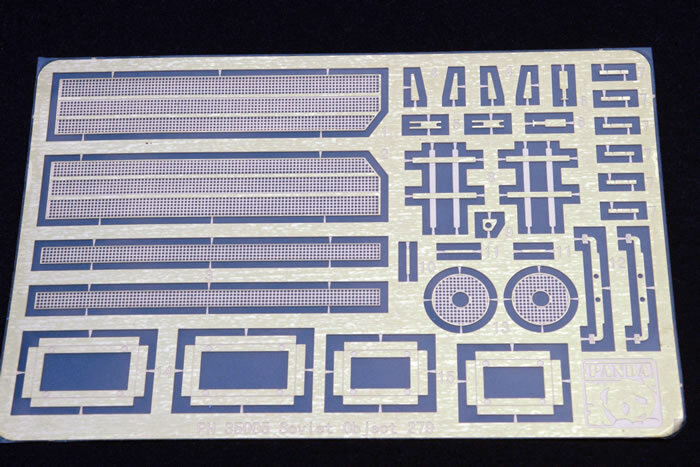 The etched mesh for the intakes on the rear deck is nice as are the other etched parts included. 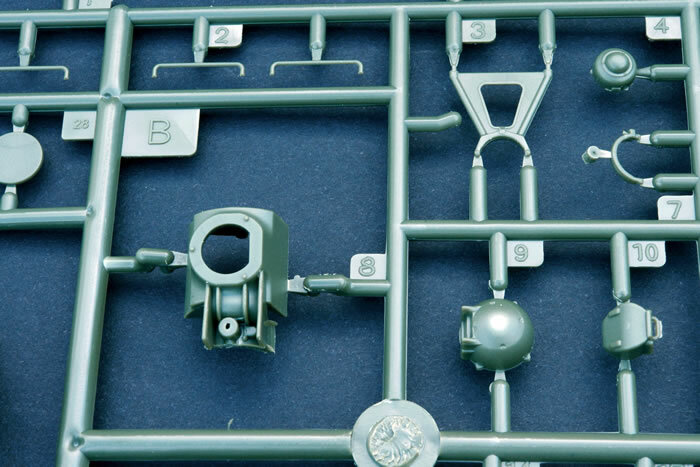 One slightly strange thing is tow cable ends are given in the parts sprues but is not called out in the instructions. 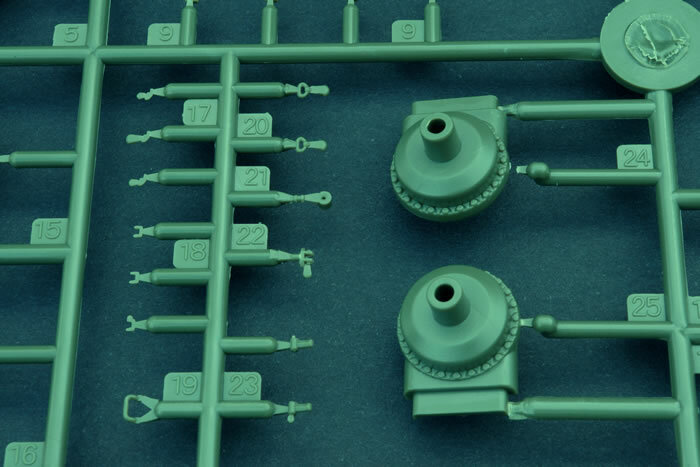 They do appear on the tank in step 15 and also show the cable itself fitted. 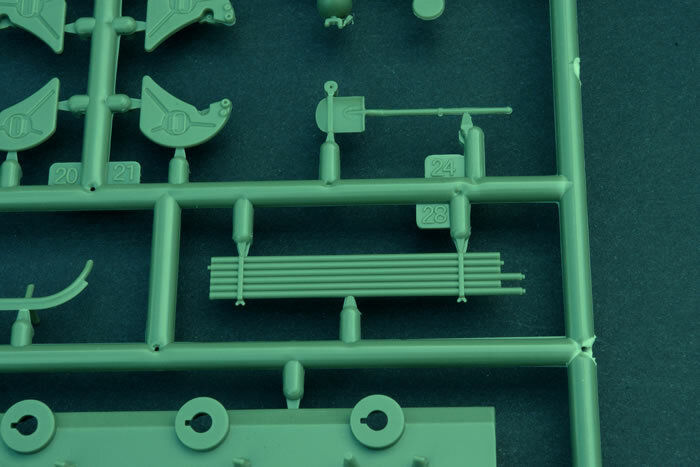 The wire cable itself is shown in the parts breakdown but was missing in my kit. Hopefully this is simply a case that it was forgotten to be put in the box. The rear fuel cells are quite well done and include the separate fuel lines leading into the hull. These though, when compared to the real thing, appear a bit under done in size and lack detail. Also the retaining straps for the fuel cells are moulded on and lack a bit of definition, as do the fastening points to the hull. 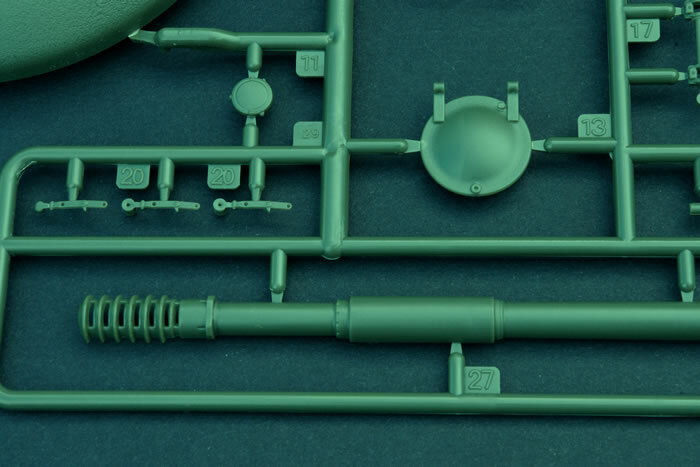 The main gun comes in two halves (including the multi baffled muzzle break) and although well cast, cleaning up the join seam especially around the muzzle break will be a time consuming job. Some of the detail is a bit simplified or simply not present when once again compared to the Kubinka vehicle. Hopefully the various aftermarket guys will release a new barrel for this to save some extra work. 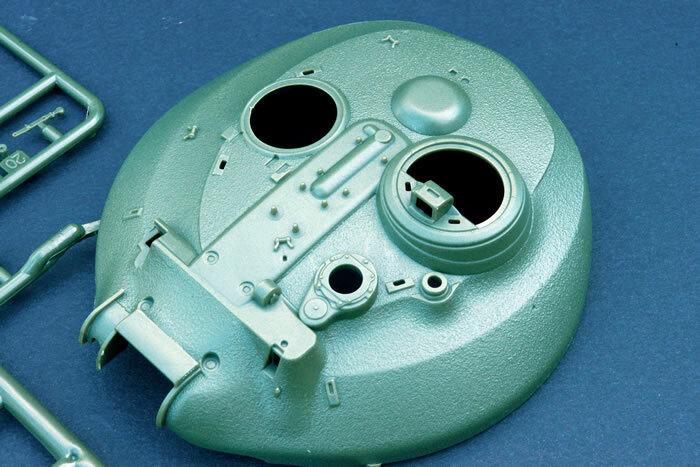 The turret is also textured like the hull and suffers the same problems as the hull in regards to appearance. There are a lot of those big sloppy Russian weld seams missing from the turret, especially around areas like the cupola and the optics openings, which are clearly visible on the Kubinka vehicle. One of the few pictures that I could find of this vehicle in service show a canvas mantelet cover fitted. This option is not given in the kit. Also missing are the tie downs around the gun opening for fixing this cover on as well as other tie down loops situated around the turret itself. The running gear is nicely done. 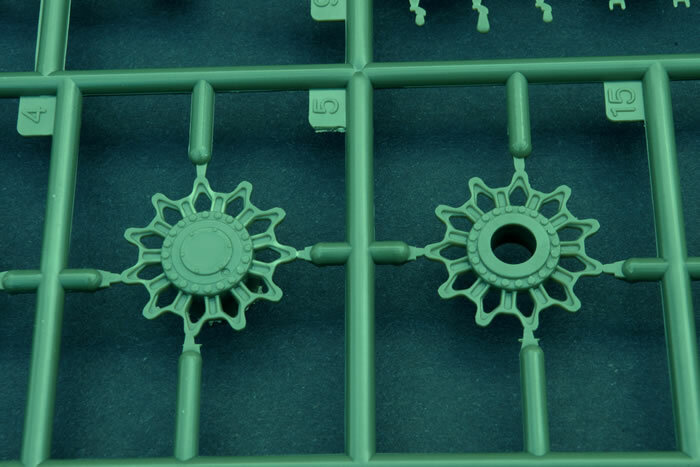 The road wheels are well detailed on both sides and the drive sprockets well represented. 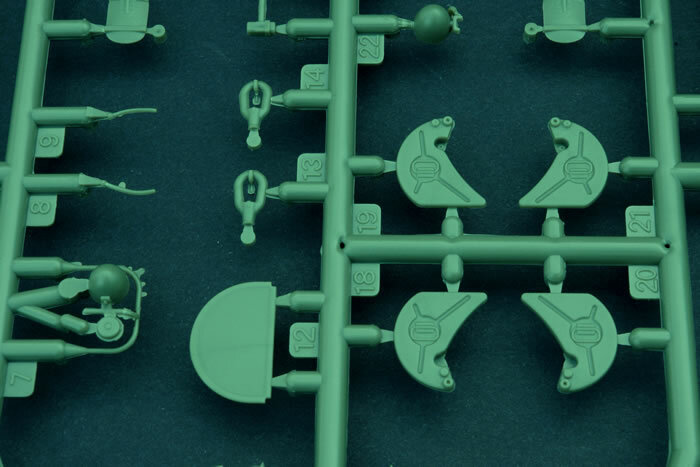 The hydro-pneumatic suspension arms are “keyed “to allow them to all sit even but removing the tab would allow these to articulate if you wanted. Each suspension arm (all 24 of them) come in two parts so a bit of cleaning up of the seams will be required. 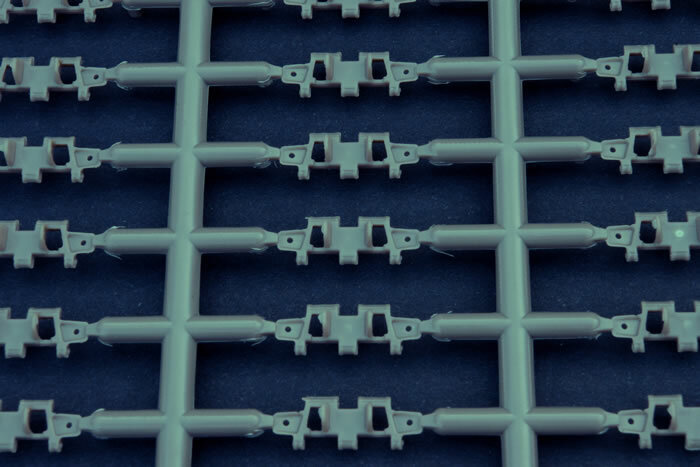 The individual links are well moulded although there is an injector pin mark right in the middle of the outer face of each link that will be next to impossible to fill and clean given the detail around it. Why they didn't put this on the flat inner face of the track is a strange decision. 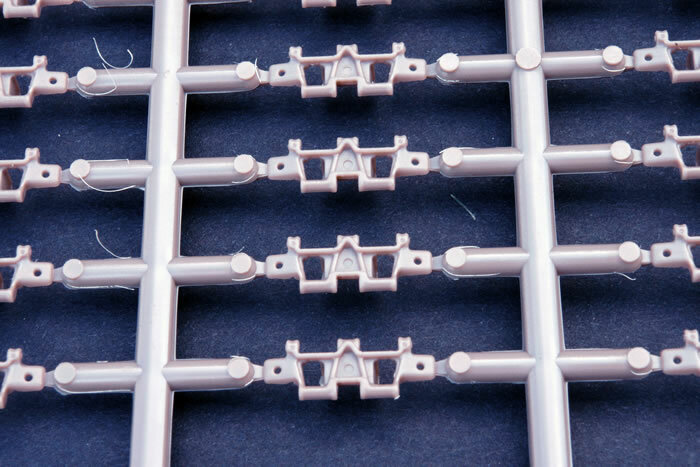 The wheels and track sections are designed in a way that you can fit them separately with a set of duel tracks and wheels fitted per side. 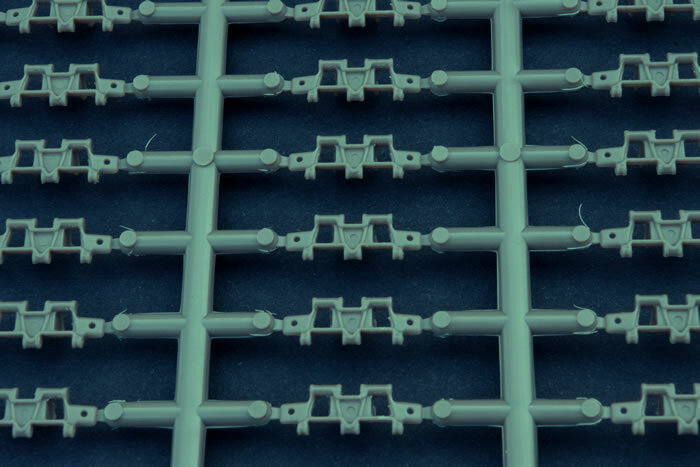 This will definitely be a big help since you need to make 4 sets of tracks. 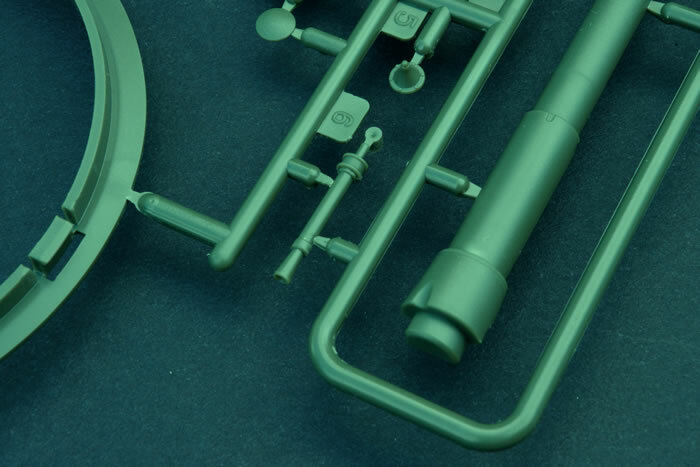 So summing up, this is quite a nice model but detail that is very obvious on the real thing is missing from the kit. This is a shame as other areas, like the wheels, are well rendered. 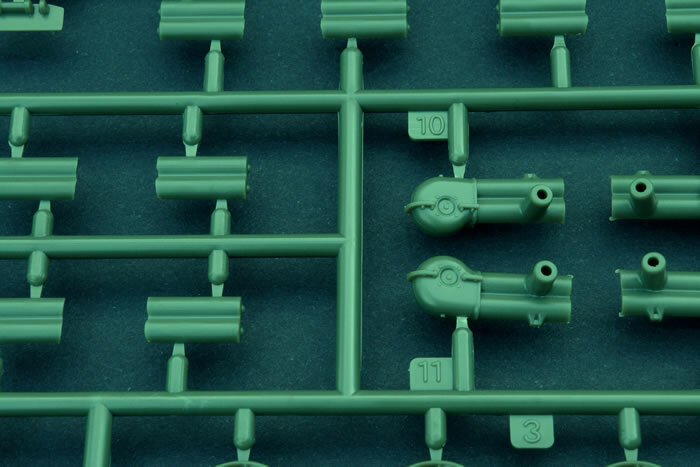 It looks a reasonable simple build (apart from the running gear) and the only real gripe I have with this area is the injector pin marks in the middle of the links.